Have you ever noticed how quickly some of your clothes fall apart? Zippers break, buttons come loose, stitching comes undone at the seams, it begins to look worn. Not only do I enjoy finding amazing deals, I enjoy the fact that all of the above isn’t true for most of my thrifted finds (especially when it was clearly made way back in the day)! This blouse I got for $5 ($9.50 with S&H) and the faux fur jacket for $15 (and some odd cents with S&H) and you can just tell how quality the items are! Anyway, I am having this long random tangent for today’s outfit because it just goes to show how much I love vintage. In the upcoming months I hope to share more about my thrift store shopping (both online and offline, as I found both of these items online) by sharing shopping videos and doing remix posts with new items I find from Goodwill, Salvation Army, ShopGoodwill (online bidding site for Goodwill items) and Etsy vintage stores. I get so excited when I find something great at a thrift store. Sadly, there isn’t a huge selection of quality items up here where I live, but I still like the “chase” of trying to find one. That faux fur piece is great! I love it when you find a fab piece at a thrift store! So exciting! This look is great! Love these vintage finds! That faux fur is amazing! There are so many thrifting options in NYC that it can get kind of overwhelming at times, but the payoff of finding an amazing piece is always so great! Thrifting is how I find my most beloved clothing items. I really love Ralph Lauren, and I come across tops, sweaters, everything at the local Goodwill that happens to be in a super nice area. I’m surprised more people don’t do it! 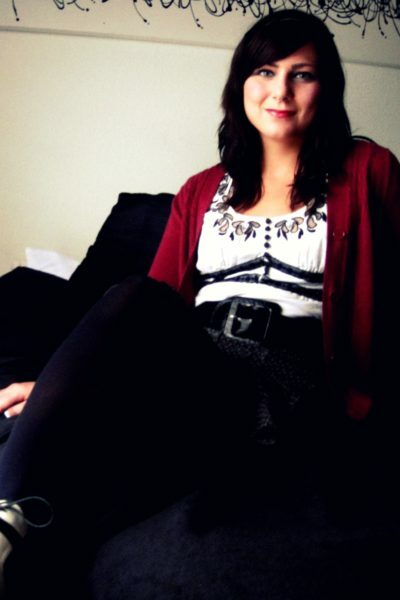 I know… it does seem strange because a lot of what people love the most from my closet is thrifted. I think people get frustrated easily though because the first few times you go, its hard to get oriented to something you have to dig through as opposed to walking into your favorite store and seeing endless options. It is totally worth it though! 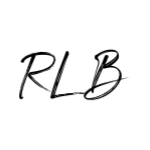 In high school one of my close friends was amazing at finding great Ralph Lauren pieces… I used to have a thrifed pinstripe blazer from Ralph Lauren that was AHAMZING! I’ve done some thrifting here and there but I still prefer shopping retail. Maybe it’s my Goodwill, but it’s hit or miss for me. LOVE your fur jacket, it’s gorgeous! I love everything about this look! The fur is amazing! I agree with everything you said about vintage – it’s a reason that I love it too. I look forward to seeing more of your finds in the coming months! i have a huge love of faux fur in any form. i adore this coat on you! and red is your color!! Love that jacket. I got a similar one from a thrift store as well. I'm glad you are a fan of thrifting too! Such an elegant look. I love this! This little fur number is amazing, great outfit. Great look! And I couldn’t agree more — high style does NOT have to be insanely expensive! Wow!!!! This entire look is so classic and trendy!! Loving that fur and top!! I am impressed!! High five!!! such a cut outfit. I haven’t gone thrift in a long time. You look gorgeous. 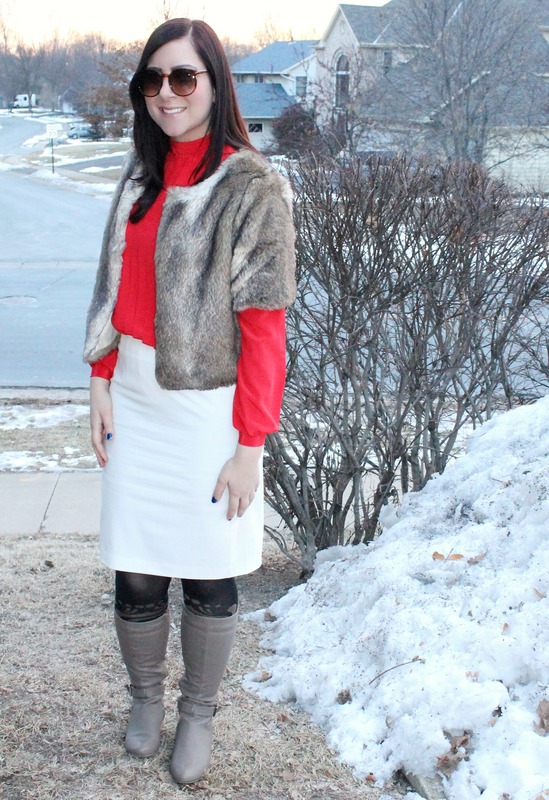 I love how you can wear a white skirt in the winter and have it be totally chic! 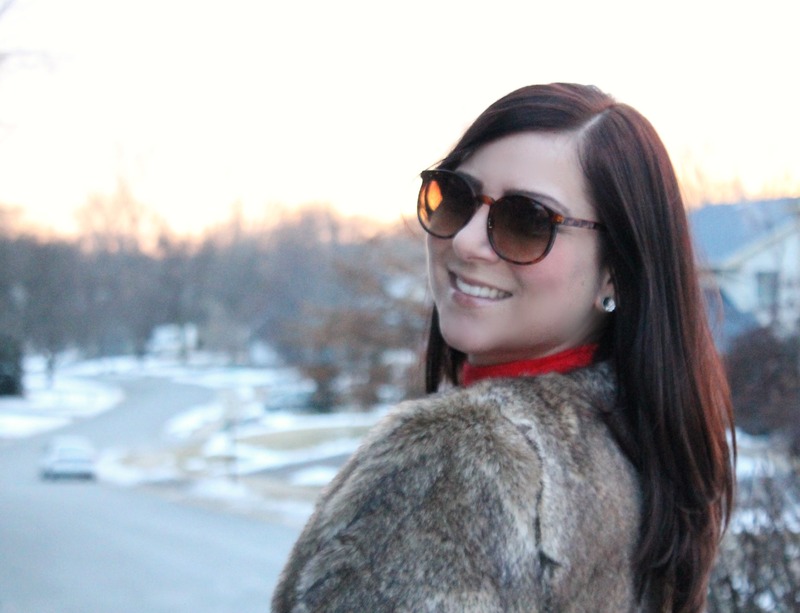 That faux fur jacket is gorgeous, and I didn’t even know about this online Goodwill site! I’m definitely going to check it out. Definitely check it out! Works just like bidding on ebay… I have gotten a lot of great things on there! It’s ShopGoodwill! The fur looks amazing with this outfit! cute outfit!! following you now on bloglovin! 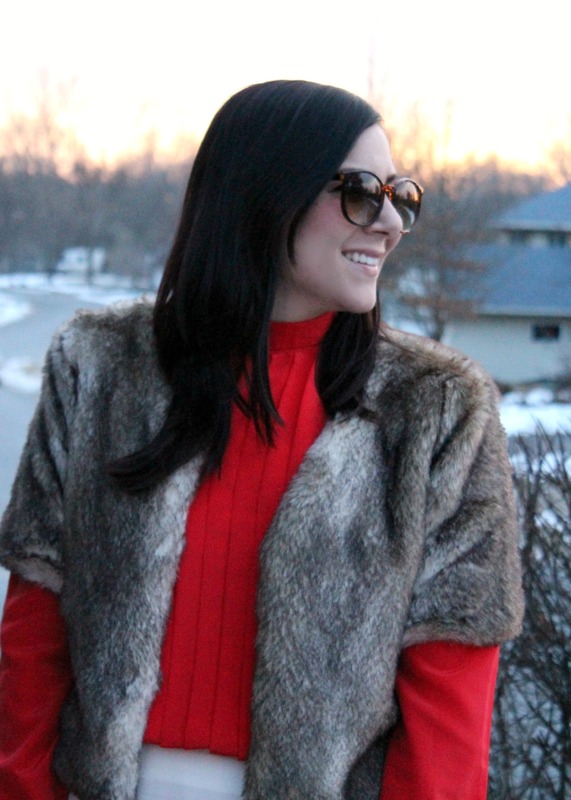 What a great find with that faux fur! And that white skirt is great, adds to the vintage look. Love the fur coat, so luxe! 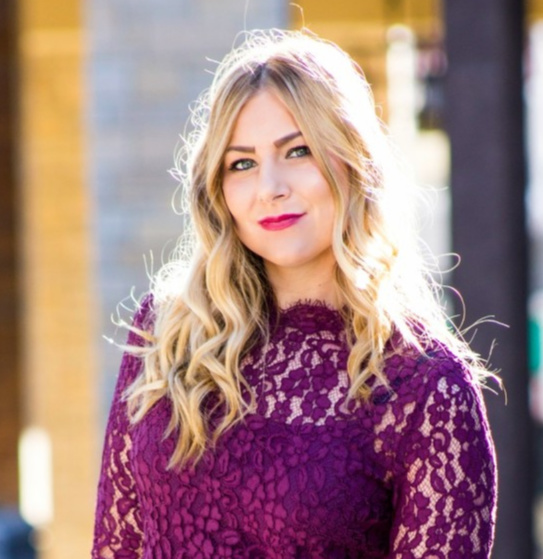 Following your fab blog on Facebook (Fashionably Yours blog/ Juneli)! Shopping second hand can really be so fun and rewarding! I just love the fur! You look great! I need to take up thrifting, I’m always so intimidated by it. The faux fur jacket is amazing! I love shopping vintage, but unfortunately I just don’t have a knack for finding great clothing. I can never seem to find the great items that others do. I instead end up with all sorts of random (but cool) things for my apartment. I can’t wait to hear more about your favorite vintage places to shop! you must be really great at shopping for pieces. i feel like i buy cheap quality at a very expensive price… i need help lol. By the way love your outfit. That red is really standingo ut from your outfit. that jacket is super cute by the way. And oh! we have the same pair of boots from just fab 🙂 I love it! love your fur! you look so chic! Love that faux fur jacket !! Can’t believe it’s thrifted ! But yes it’s a great way to own unique items ! Do come back soon to visit us! Vintage pieces are always so much more special. I really love this jacket — it’s the cutest thing ever! OMG! The fur, those glasses, that RED! Love it alll 🙂 FAB Rachel! 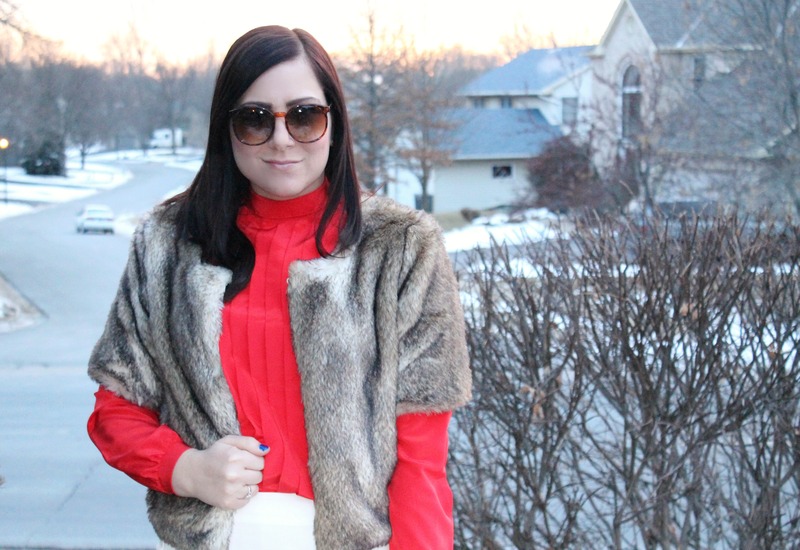 Faux fur, red and white happens to be my favorite combo for this festive season! You totally rock it, Rachel! Wow, that fur is simply chic and elegant! I love thrift store finds! Thanks for the nice comment on my blog. Would you like to follow each other? Fantastic look Rachel! Red is such a good color for you! Hope you had a fabulous weekend.